Santa making his entrance in a red sleigh atop a fire truck? 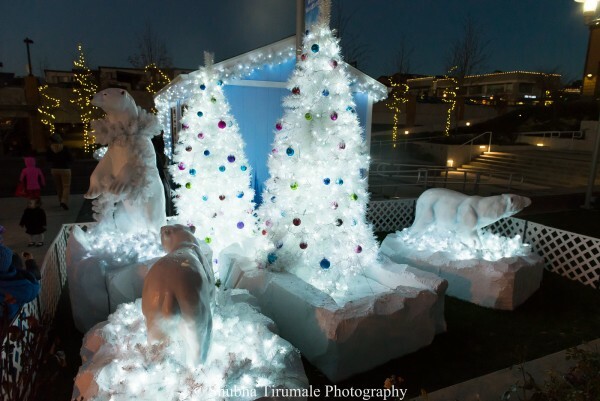 Iridescent white trees powder-coated and fiberglass polar bears in place? Artificial snow falling, music playing, and crowds waiting in anticipation? 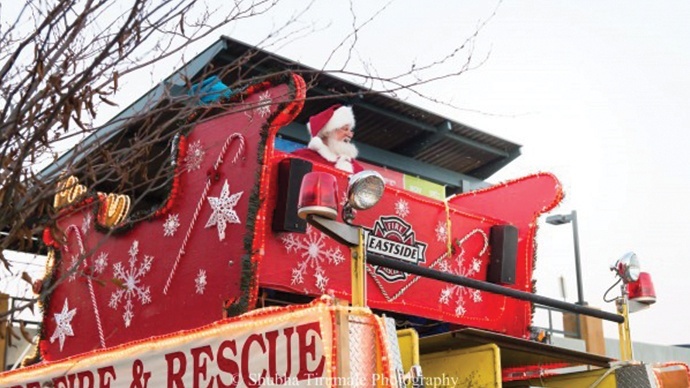 Seven months of planning Santa’s Winter Woodland at Grand Ridge Plaza in Issaquah, Washington culminated on Black Friday when Santa Claus arrived by fire truck to greet nearly 300 of his biggest fans. All who attended enjoyed live music, hot beverages and sweet treats courtesy of Grand Ridge shops and eateries. Following the celebration, Santa took his place in Grand Ridge’s very own Santa House, where he’ll be available for photos by local Santa photographer Arthur & Associates until December 24 when he moves on to undertake the biggest night of his year. For center and holiday updates, visit Grand Ridge Plaza on Facebook. 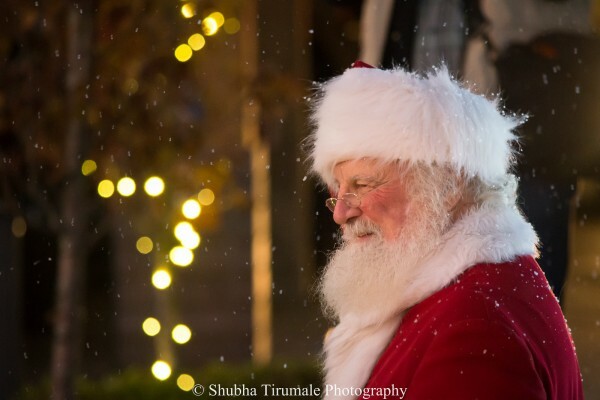 Also, check out this video on Santa's grand entrance into Issaquah!